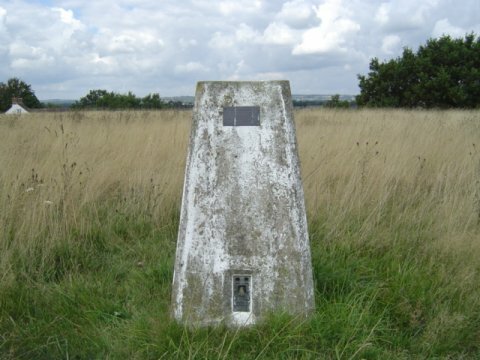 Is ranked joint 10139th with 104 other trigs (more). 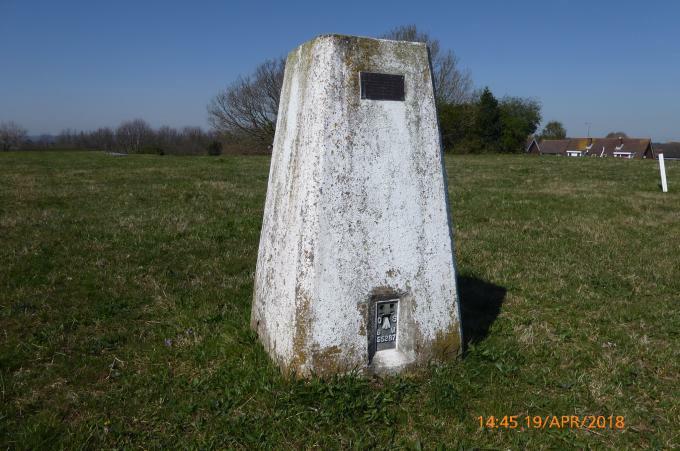 Another adopted pillar also remembering the Auxiliary Units set up 1940 to combat a potential German invasion. 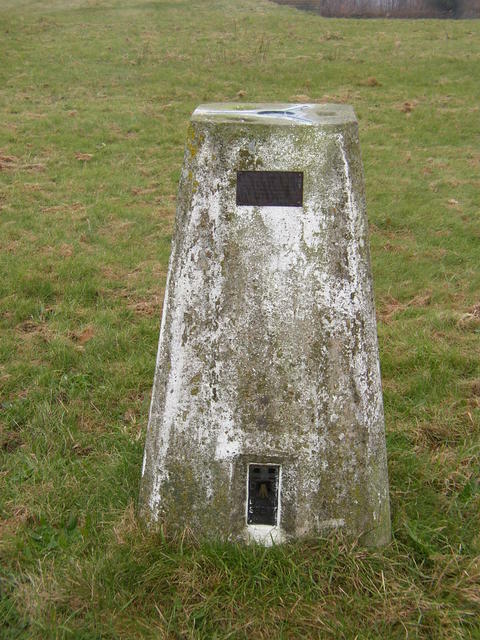 The pillar sits atop the large covered reservoir, accessed through a gap in the hedgerow at TQ 6992 1273. An original centre cap is retained, lightly indented lettering; rear sight hole open. 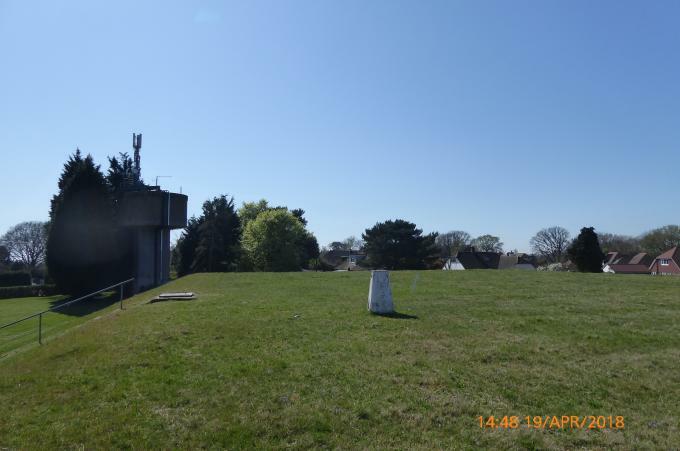 A Royal Observer Corps nuclear fallout monitoring bunker is sited within the resr compound on the NE side. Through hole in fence from footpath ,nice and easy. Fencing along FP to west patchy with a large hole @ TQ699127. 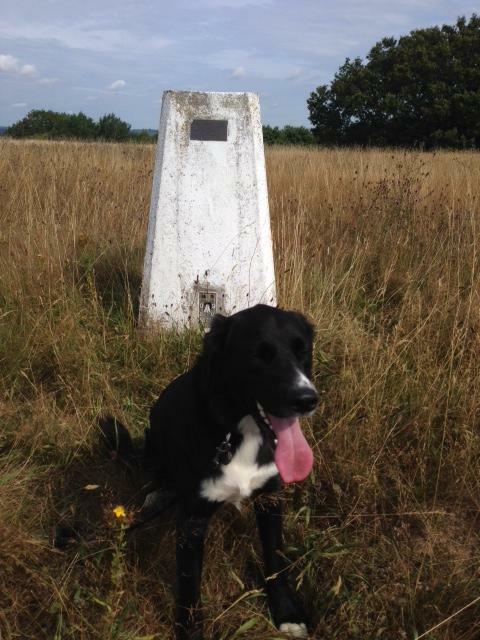 Strangely the trig has been adopted - in a fenced off Resr? Technically, condition should read 'unreachable but visible' but you speak as you find so this one gets a 'good'. Parked 'near the wood' in Combe Lane and took pathway along perimeter of reservoir which leads to High Street A269. A sign on a small gate near water tower declared 'Private property, keep out' so we dutifully obeyed. A five-bar gate further down the road displayed a sign reading ' I EE O T' , I guess that's an invitation to climb over. 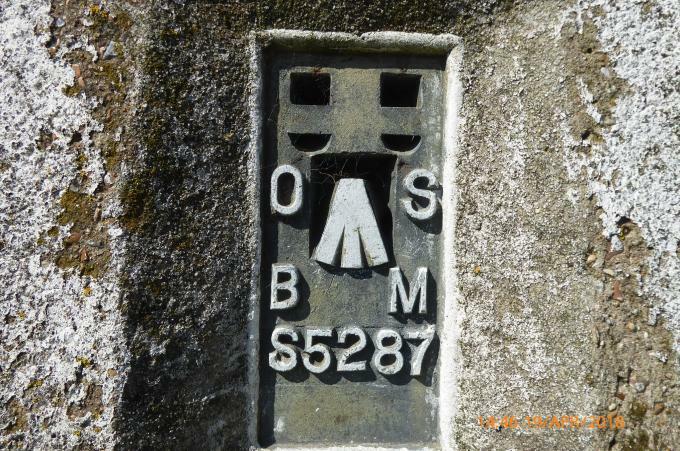 Southern Water, despite their dire warnings re trespass, have thoughtfully provided stone steps to afford trigpointers easy access directly to the pillar. 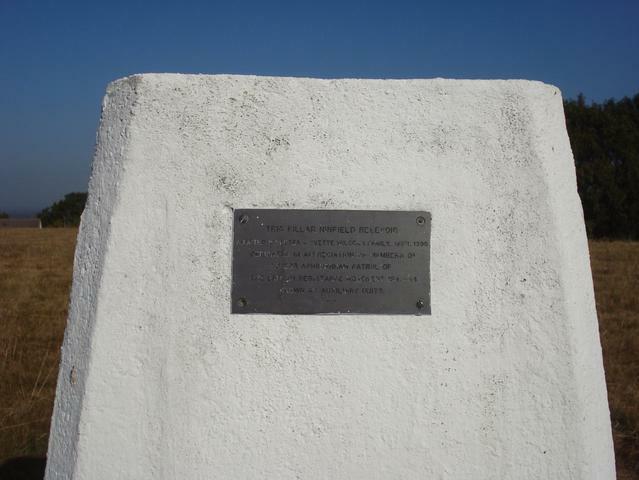 Interesting plaque on pillar, see Lathama's description, 2011. 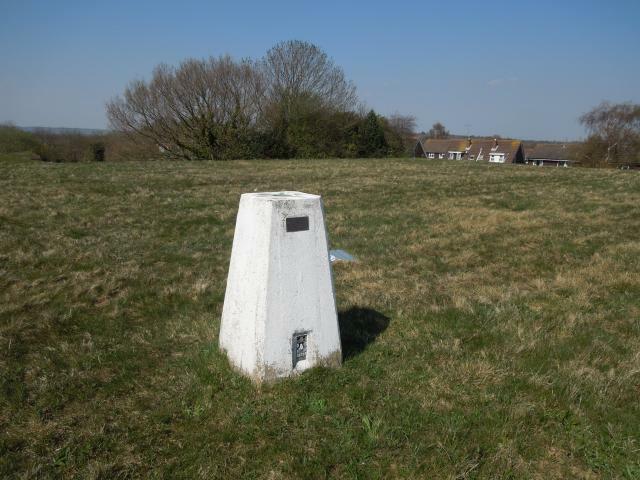 Standard Hill takes its name from the supposed site where William the Conqueror set his banner on the eve of the Battle of Hastings. 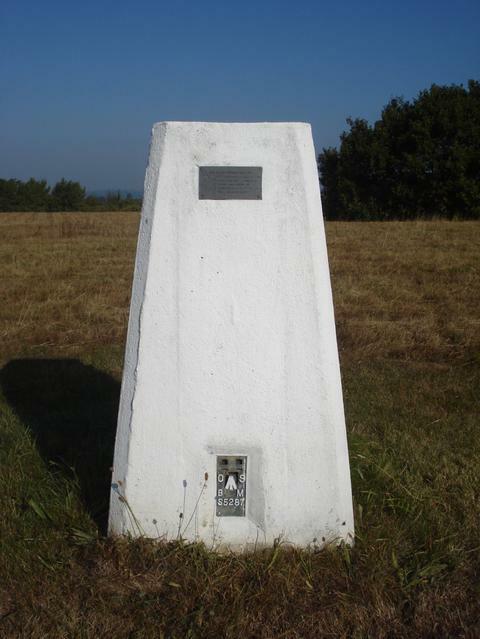 After walking the dog in Ashes Wood this morning I decided to drive over to Ninfield to find a nearby Geocache and then log this trig point. 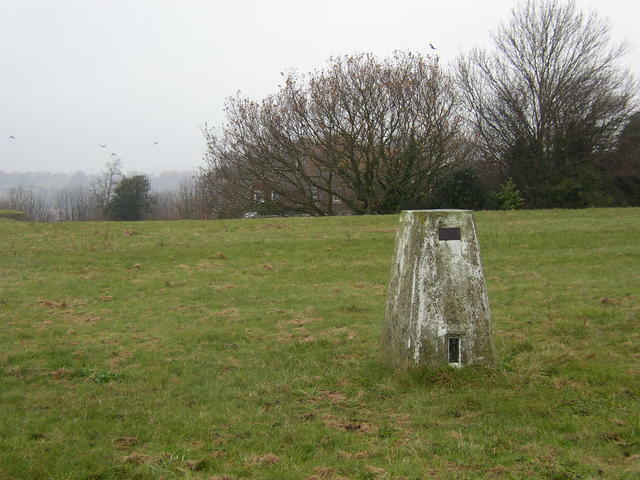 Gained access to the site by a small gap in the hedge off the footpath to the west. A quick walk up to the top of the reservoir. Took a couple of photos and retraced my steps. A squeeze through the gate and quick hop up down to bag this one. Good description by Lathama. 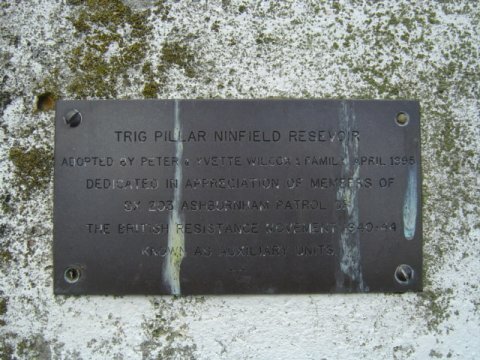 There is an identical plaque on pillar TP1449. 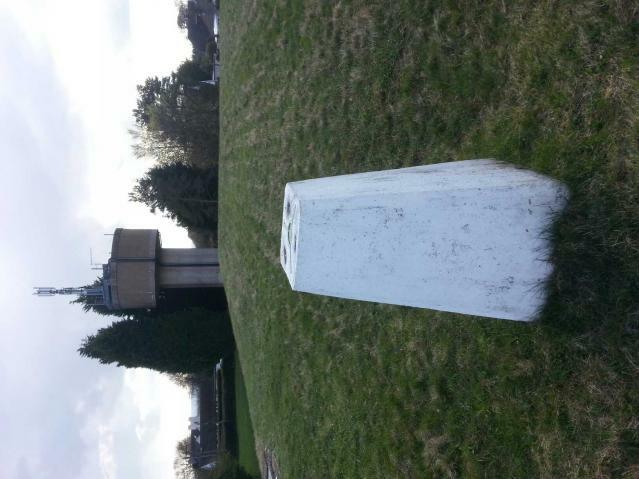 A beautifully white-painted pillar in a reservoir compund in Ninfield village. 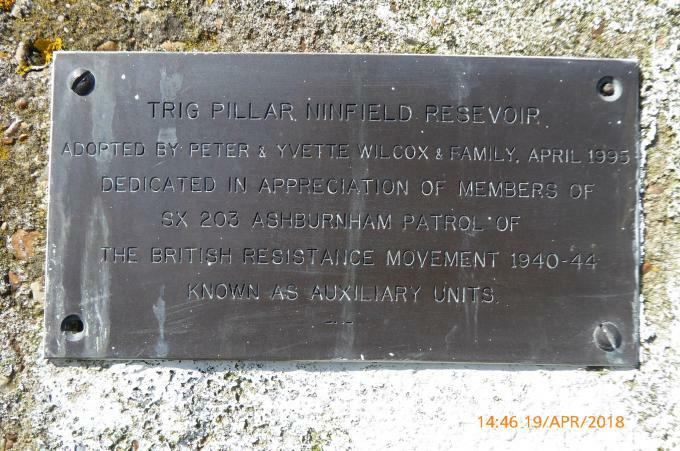 Plaque indicates it was adopted by Peter and Yvette Wilmott in 1995 and dedicated to members of SX203 Ashburnham Patrol of the British Resistance Unit 1940-44, otherwise known as the Auxilliary Units. 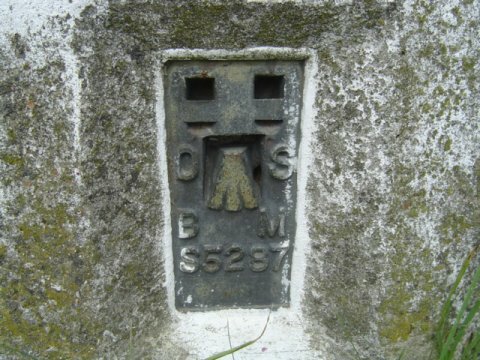 Original plug with slightly indented letters. All sightholes below grass level. Access off main road, squeezing past gate post of compound and up steps to reservoir. My second attempt at this one. There didn't seem to be anyone about so I crawled through a small hole at the foot of the hedge between the footpath to the W and the reservoir and walked up the reservoir bank to find the TP. 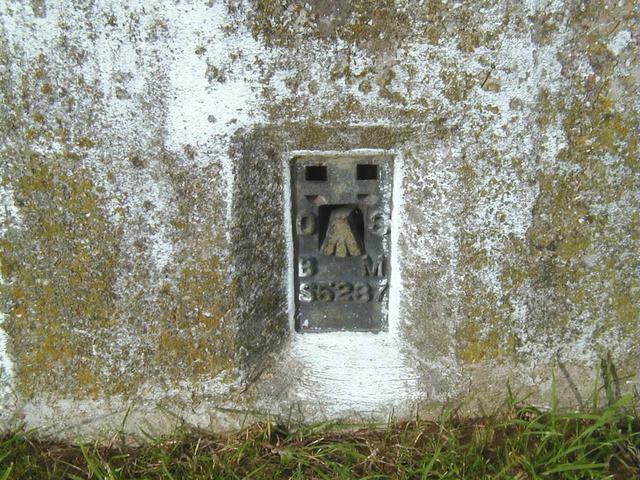 Original plug with pristine coat of new white paint and interesting plaque re wartime auxiliary units - see also TP 1449. Overlooked by houses so I didn't hang about ! Second Visit to this one - this time no one around, so hopping over the fence not a problem. 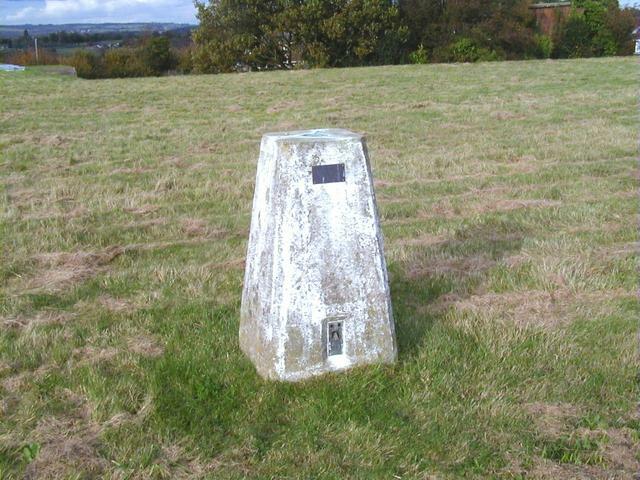 Pillar located on top off reservoir, by the steps, good condition. Too many people around to jump fence, may try to get a bit nearer another day. Pillar was clearly visable on top of res. 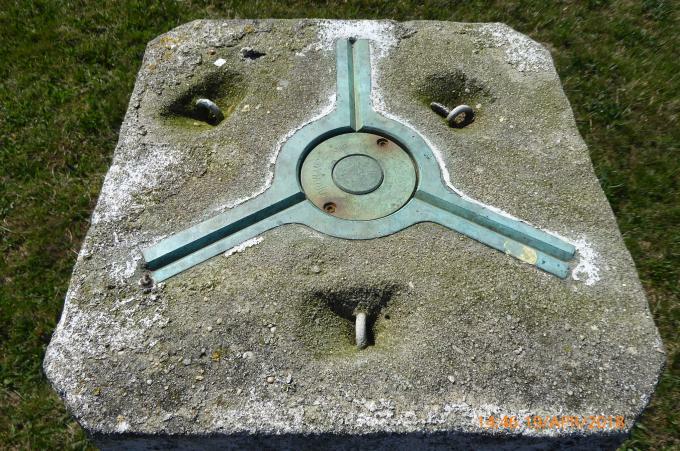 Located on top of a reservoir. Access was through a gap in the fence from a public footpath. We ignored the keep out sign (it was a Sunday!) and climbed over the five bar metal gate and walked up to the pillar. 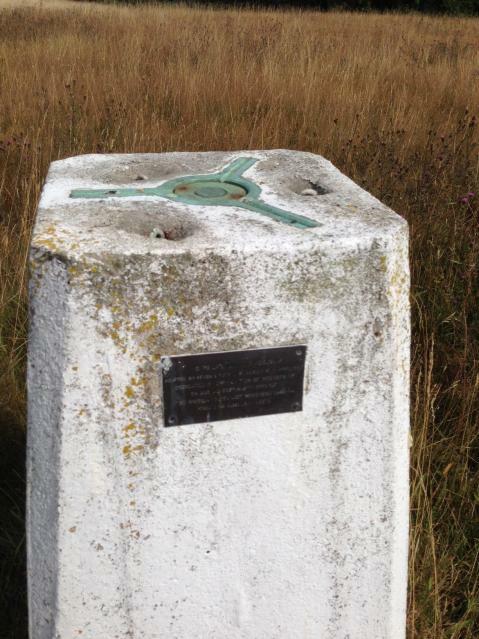 There is a plaque on the pillar similar to the one at Blackland Wood but this one is dedicated to the Ashburnham Home Guard. Plug with indented lettering. Clearly visible on top of covered reservoir, but unreachable without ignoring the "Private Property - Keep Out" sign.